Adtictac Mobile, Popup, Interstitial, Banner, Direct links advertising network details. Adtictac is constantly working to improve our technology with all of our team so that all our publishers can offer more in terms of service and profit. Adtictac offer various advertisement models to publishers that they will need. 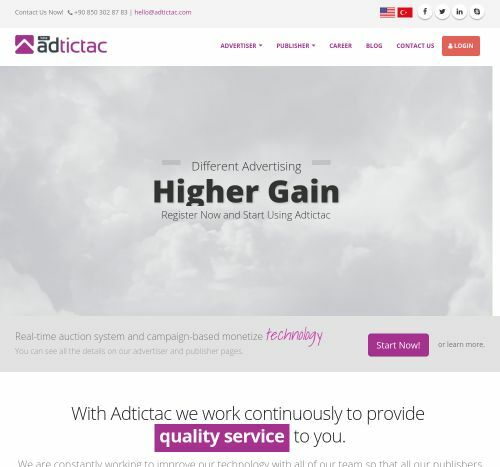 In Adtictac high-paying system, Adtictac offer an advertising service that does not disturb visitors to your website and increases your revenues at the same time without losing traffic to you. You can publish hundreds of ads on your web site. Adtictac has 4 ad models such as banner, popup, interstitial, and direct link.